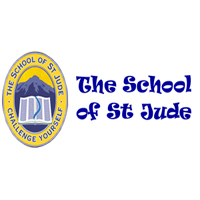 To provide a high level of education to the school’s children and help those to learn new ideas and concepts to ensure the students meet the required standards of the Tanzanian education system. Prepare and maintain classroom norms and regulations which inspires the students to learn  Devise and write new curriculum materials. Interested Candidates for this job are kindly requested to send their CV accompanied by a Cover Letter. Applications should be sent by 15th August, 2018. SUBJECT LINE MUST INCLUDE THE REFERENCE NUMBER.